Hey there, welcome to the day three of the February Neat and Tangled release. 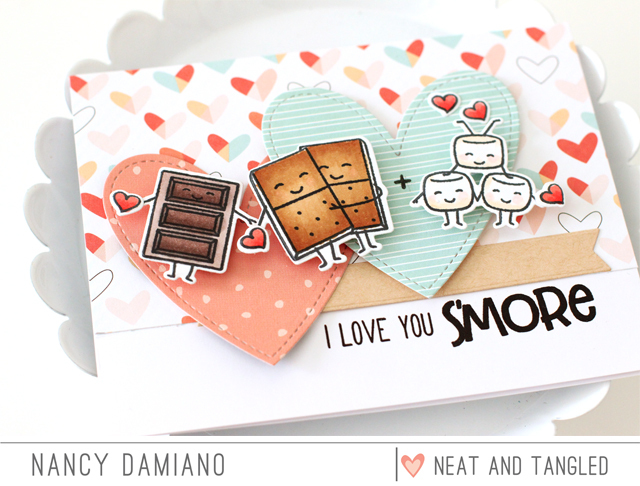 The last new stamp set is called S'mores Fun and it's one of my favorites from the release. Who doesn't love dancing chocolate for Valentine's? To create this card begin with a white background and patterned heart paper. I like a colorful background when icons tend to be mostly monochromatic (shades of brown). The stamped images were colored with Copic markers for a pop of brightness. The sentiment was stamped in black and a scatter of tiny hearts was added to each of the characters. 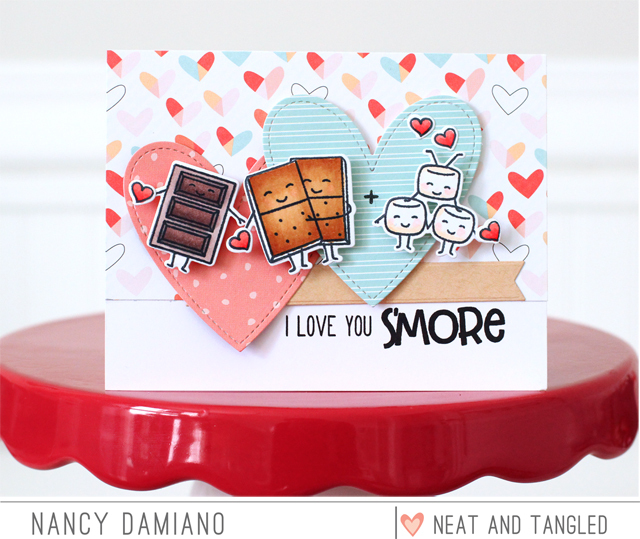 Neat and Tangled will be giving away a S'mores Fun stamp set. To enter, leave a comment below to be entered. Be sure to visit the Neat and Tangled blog on Friday for a list of winners. Good luck and thanks for stopping by! Hey there, welcome to the day three of the February Neat and Tangled release. Today I have a brand new steel die - Geometric Circles. I love clean backgrounds and this steel die delivers! 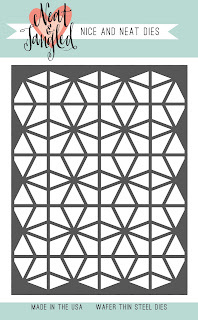 To create this card begin with a white cardstock rectangle and the Geometric Steel Die cut out. Next, use Distress Oxide Ink in Peacock Feathers and Fossilized Amber to create the ink blended background. Add a splash of watercolor with Distress Inks to images from the Beaver's Eh stamp set. Use foam tape to add to the front of the card and you're done! 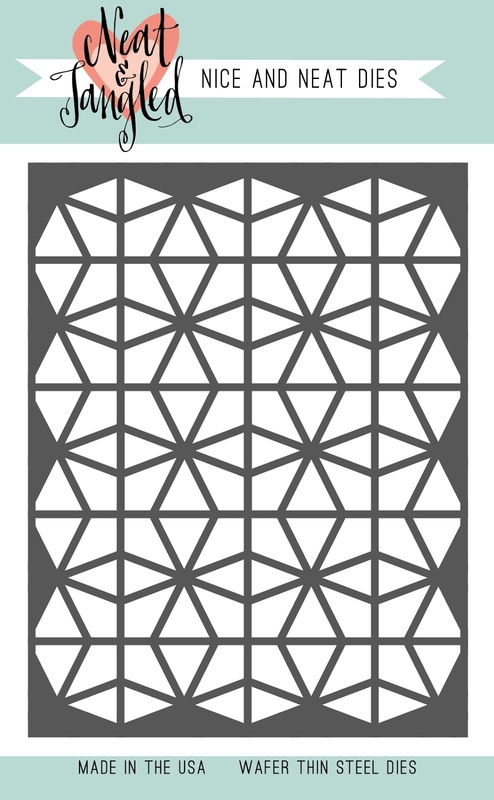 Neat and Tangled will be giving away a Geometric Circle Steel Die. To enter, leave a comment below to be entered. Be sure to visit the Neat and Tangled blog on Friday for a list of winners. Good luck and thanks for stopping by! Say hello to the newest in Sunny Studios' release - Tiny Dancer. I love these cute little ballerinas and the sentiments that are both beautiful and versatile. To create this card, start with a simple watercolored background that your tiny dancers can shine on! I chose the colors based on the patterned paper placed at the bottom edge of the card. All of the tiny dancers were colored with the same palette in mind with Distress Inks. 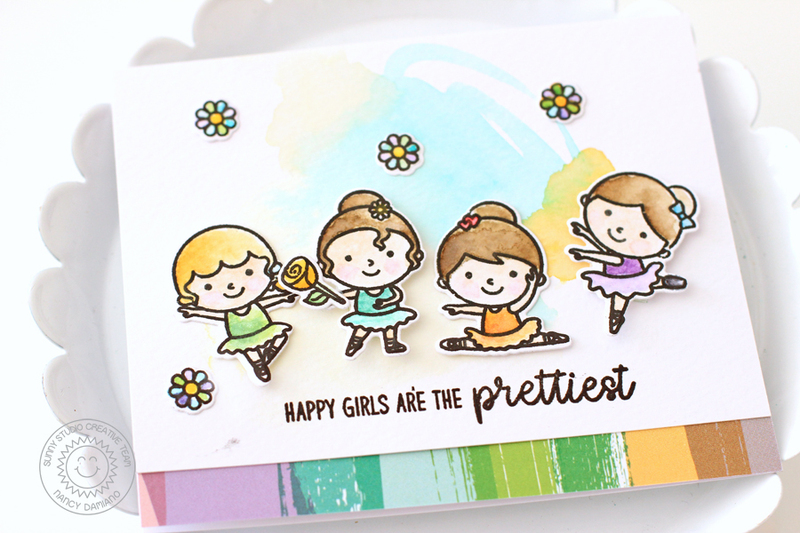 A scattering of tiny stamped daisies gives the card some movement and a dose of dainty. 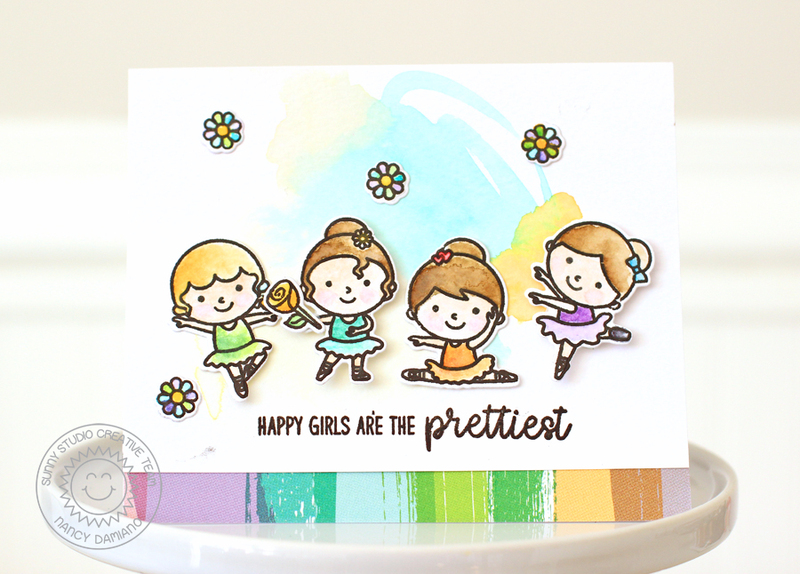 I like to color and send handmade goodness and this stamp set is perfect for all the little (and big) ballerinas in my life! 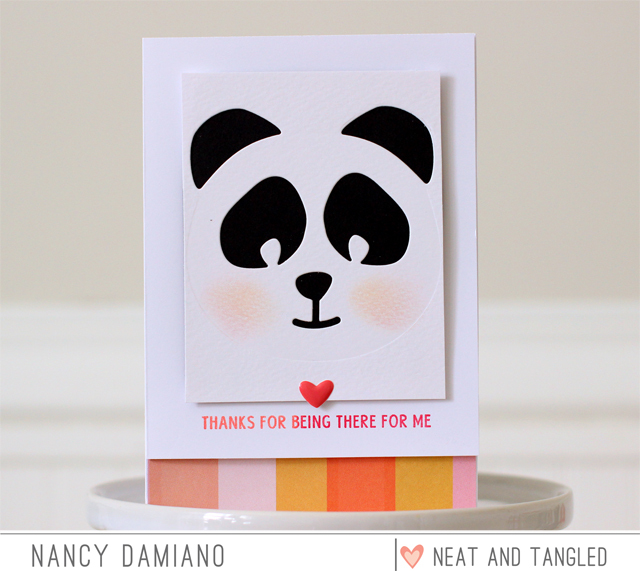 Neat + Tangled February Release Day 2 | So Many Sentiments and a Panda! Hey there, welcome to the day two of the February Neat and Tangled release. 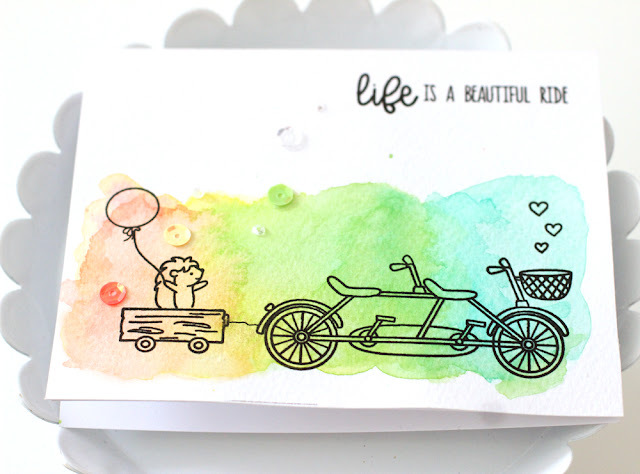 The next stamp set up is called So Many Sentiments and it's chock full of every sentiment you could ever need! On this card it's paired up with the brand new Panda Steel Die for a measure of cute. 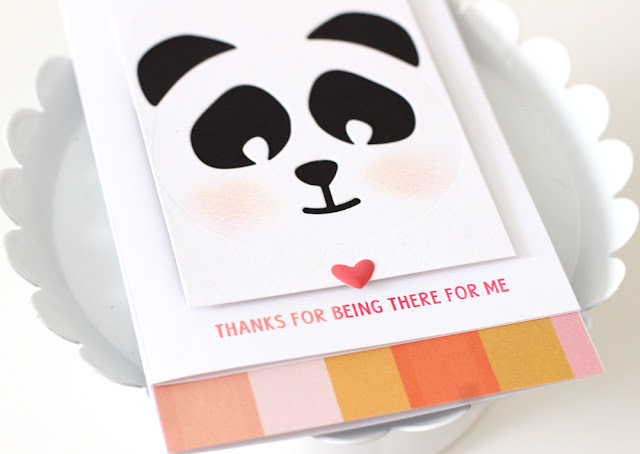 To create this card begin with a white cardstock rectangle and the Panda Steel Die cut out. Next, add a strip of patterned paper at the bottom edge of the card to give it a pop of color. A sentiment stamped with salmon and hot pink ink at the edge of the panda card underlines the die cut in the center. A simple epoxy heart gives the card just a bit of texture straight in the center. Neat and Tangled will be giving away a So Many Sentiments stamp set. To enter, leave a comment below to be entered. Be sure to visit the Neat and Tangled blog on Friday for a list of winners. Good luck and thanks for stopping by! Hey there, welcome to the day two of the February Neat and Tangled release. The next stamp set up is called Ride with Me and it's my favorite from this release. There's just something about bicycles that I love. Add to that a bunch of mix and match options and it's for me! 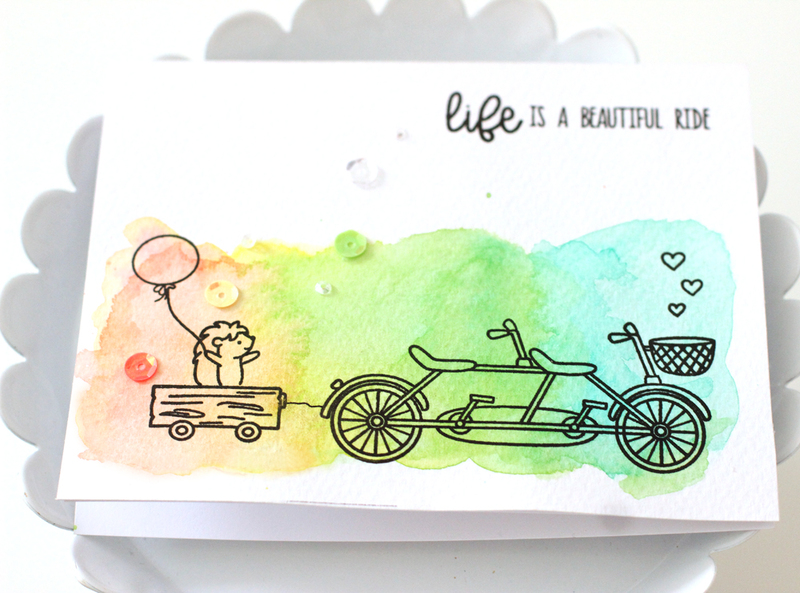 To create this card begin with watercolor paper and Zig Clean Color markers to create this dreamy, colorful background. Then simply stamp the scene right on top with black ink. It's simplicity at it's finest! 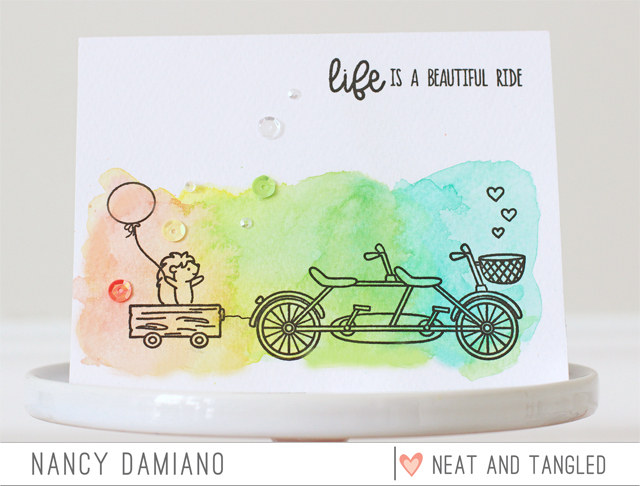 Neat and Tangled will be giving away a Ride with Me stamp set. To enter, leave a comment below to be entered. Be sure to visit the Neat and Tangled blog on Friday for a list of winners. Good luck and thanks for stopping by!